Welcome to Jamaica Oil Company & Tesoro Heating Inc. 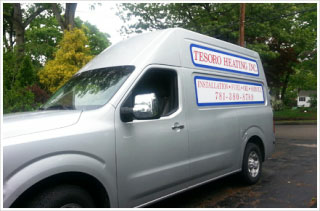 Welcome to the online home of Jamaica Oil Company & Tesoro Heating Inc. We are a family-owned and -operated business located in the South Shore of Boston and have been around for more than 70 years. That is 7 decades of experience in the heating industry. With that amount of experience, we are sure to meet your heating needs with the best services available. Not only do we take pride in our work, but we compete with surrounding companies to offer our clients the lowest prices available to them. Our goal is to accommodate you the best we can, and our 24-hour emergency maintenance service does just that. There’s no need to pay higher fuel oil prices to get expert, dependable service on your heating unit because Tesoro & Son Heating Inc is our own heating business division. We have been in the business since 1978 offering around-the-clock service and installation. Be sure to check out our service contracts that will keep you covered all year long! For low oil prices with excellent full-service dependability, you can’t go wrong with Jamaica Oil Company & Tesoro Heating Inc.